TURBOSOUND has today announced the shipping of its flagship FLASHLINE MONITORS range of 2-way loudspeakers. 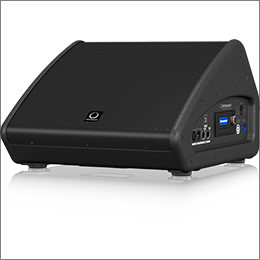 Designed primarily as stage monitors, they also accommodate a wide range of portable speech and music sound reinforcement applications. The flagship range consists of 4 models, two 12” and two 15” models; the TFM122M and TFM152M switchable passive/bi-amp loudspeakers, and the TFM122M-AN and TFM152M-AN powered loudspeakers. The new 2-way switchable passive/bi-amp TFM122M and TFM152M monitors feature 1,400 Watts of peak power designed to work in conjunction with LAB GRUPPEN amplification and loudspeaker management systems. 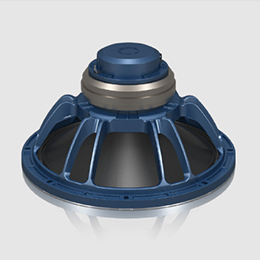 Specifically the TFM122M features a carbon fibre loaded 12” neodymium motor low frequency driver with a titanium dome 1.4” neodymium motor compression driver with the larger TFM152M featuring a carbon fibre loaded 15” neodymium motor low frequency driver with the titanium dome 1.4” neodymium motor compression driver. The powered models in the range, the TFM122M-AN and TFM152M-AN, deliver 2,500 Watts of peak power while featuring the same custom engineered driver technology as the switchable passive/bi-amp models in the range. These models are designed to work individually without a controller so feature an intuitive user interface via LCD display or remote control via TURBOSOUND PC Edit software. Each speaker is powered by industry-leading KLARK TEKNIK digital signal processing and Class-D amplification. 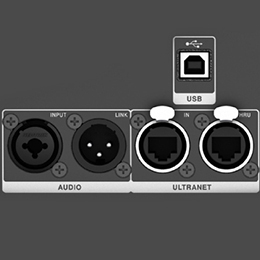 MUSIC’s revolutionary ULTRANET digital audio networking allows for connectivity to mixing consoles and other compatible digital devices – including mixers, I/O stage boxes, powered loudspeakers and personal monitoring systems.